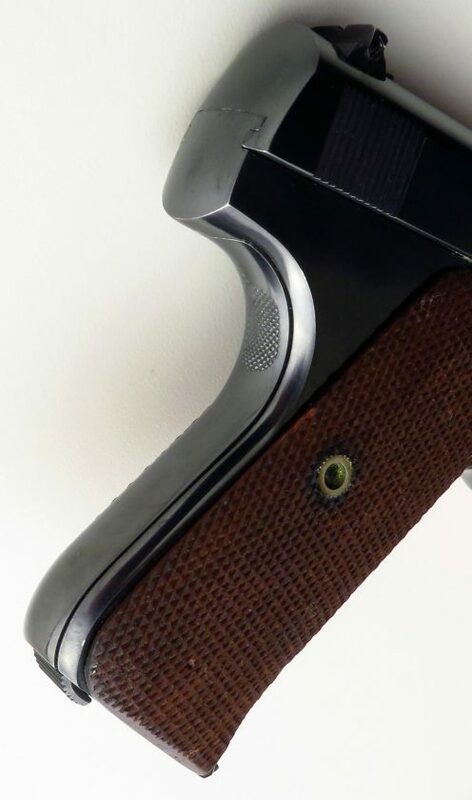 Colt Automatic Pistol .22 LR, pre-Woodsman, 1926, 6 5/8, both sights adjustable, original, 96 percent - Sportsman's Legacy, Fine firearms, related books and sporting collectibles. Representing estates, collectors and nonprofit conservation organizations. Colt Automatic Pistol (pre-Woodsman) .22 LR. 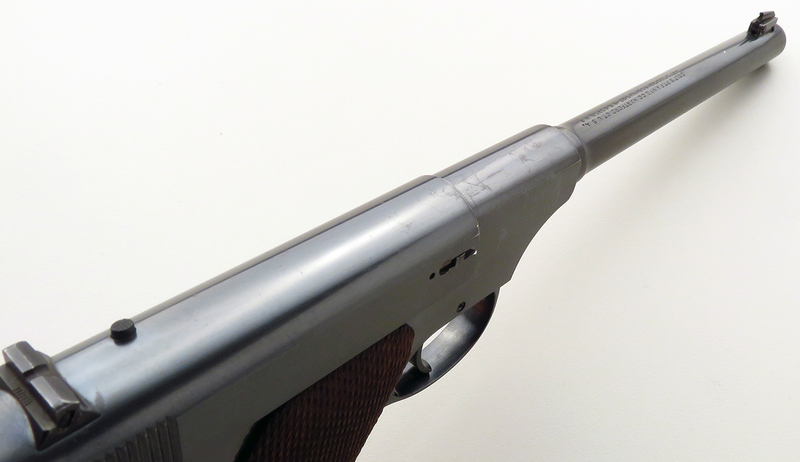 Made in 1926, serial number 50364 wears the 6.625-inch “medium” barrel and features adjustable sights (both front and rear), along with checkered wood grips. It also includes the correct/original two-tone magazine along with an aftermarket spare. CONDITION: The bore is bright and shiny, passing for new. Metal finish is at least 96 percent, with a trace of thinning at the muzzle and a modest scattering of superficial rubs, scratches and nicks. 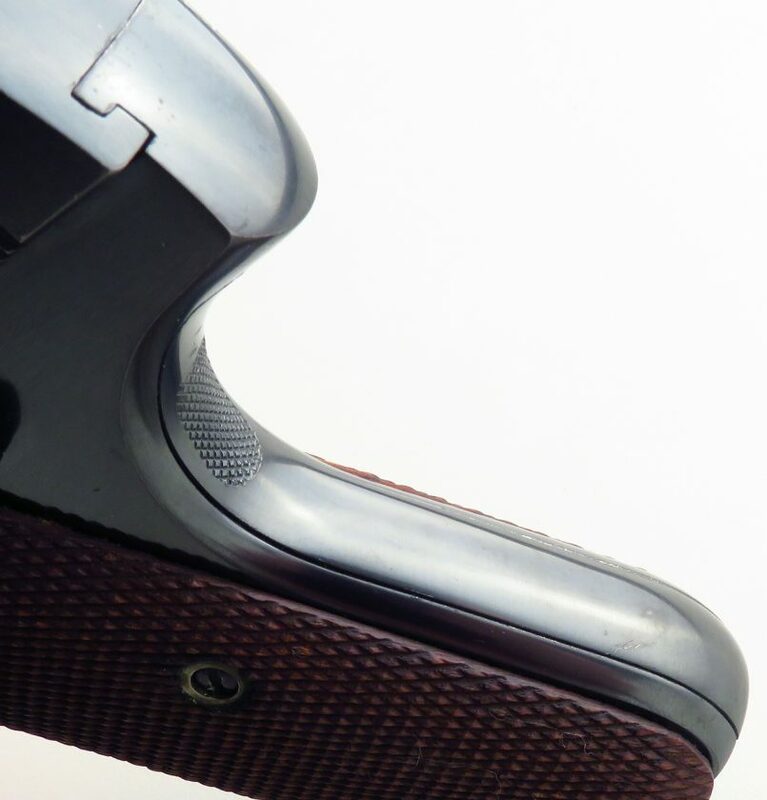 The grips are without flaw and the original magazine retains about 95 percent of its finish. The auxiliary magazine is unmarked as to brand and has some spotting and surface rust. No box or papers. The price is firm and layaway is available. $1,650 plus shipping.